As more and more people and businesses migrate to cloud services, you might have a few questions about the cloud and why everyone is switching. In this post, we want to help demystify the term by explaining some of the different types of cloud terms you may have heard of (IaaS, PaaS, SaaS, public, private, hybrid) and listing some of the key benefits you or your business can gain from using a cloud service. 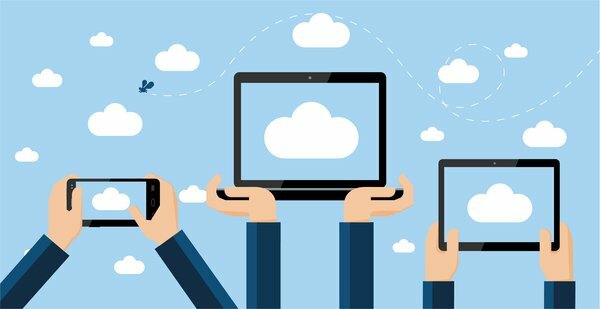 On a fundamental level, cloud computing is the process of storing and accessing data or programs over the Internet rather than from your computer's hard drive. Despite the many myths of cloud computing, it's not a complicated or foreign concept. You might even be using cloud computing without realizing it. An online service that receives emails, stores files, or hosts web conference meetings is very likely to be using cloud computing. Cloud computing can be found in plenty of IT solutions such as storage services, networking, software, analytics, and many more. The possibilities are endless due to the flexibility, scalability, and high availability of Internet-based computing. No need to buy and stack hardware that will depreciate over time and waste electricity for power and cooling. Instead, only pay for the resources you use with your data stored securely in the cloud. Just a click away. Enjoy operational flexibility and reduce the time it takes to deploy updates and transfer information (a big bump in team productivity). As a business grows or shrinks, cloud services providers can scale up or down, delivering just the right amount of IT resources needed to maximize efficiency. Automatic data backup services and disaster recovery options are usually available from most cloud service providers. Look for providers with the latest advanced malware protection, next-gen firewalls, and analytics. PaaS provides developers a cloud-based environment/sandbox to develop, test, deliver, and manage software applications. It enhances the development of new apps without worrying about the cost and management of underlying hardware, software, and hosting. SaaS allows companies to deliver software-based applications over the Internet, typically on demand and on a subscription basis. In a SaaS model, the cloud provider hosts and manages the underlying infrastructure and handles any maintenance, upgrades, or security patching. Businesses can choose one package from a variety of cloud deployments that best suits their specific needs. There are three options for deploying a cloud computing solution: public cloud, private cloud, and hybrid cloud. Public clouds are owned and operated by a third-party cloud services provider. Using the Internet, they deliver computing resources like hardware and software to be used by multiple companies. With public cloud, users don’t need to purchase hardware/software or support/manage their infrastructure. This makes public cloud the most affordable model. A hybrid cloud uses a combination of both private and public clouds. This allows data and applications to be be shared between both types of cloud, increasing efficiency and availability. Hybrid clouds let companies keep critical applications and sensitive data in a private cloud, while taking advantage of public cloud resources like the latest applications and elastic virtual resources. I hope this post helped you gain some insight into the modern business benefits of cloud computing. If you still have questions about which solutions can help optimize your IT needs, and formulate your IT transformation strategy, we are here to help. Cloud Computing can help you achieve greater business outcomes, improving process efficiency and reducing costs. But How can you know whether or not you’re getting it all? 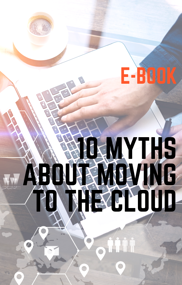 This e-book unveils 10 common myths when migrating to the cloud, get your facts right before you make a decision!